Alyson and Dakota’s wedding was great to shoot at. They had a fun reception. Dad got out on the dance floor and really danced. He did a solo number right after the daddy daughter dance that was great. Here is a really intimate shot of the couple during their first dance. I love mom and dad in the corner of the photo smiling. 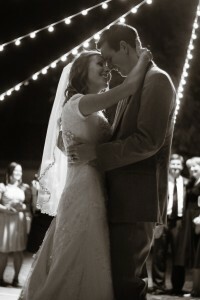 MormonWeddings.com also shot their wedding video.